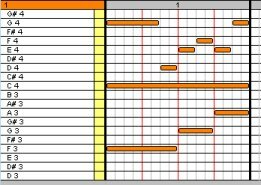 Everything you need to write your sheet music for the choir, up to 4 staves. 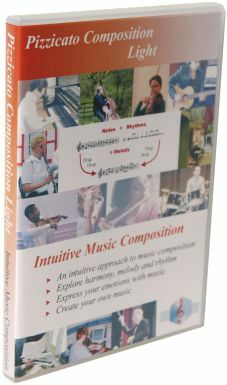 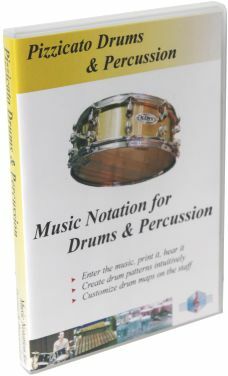 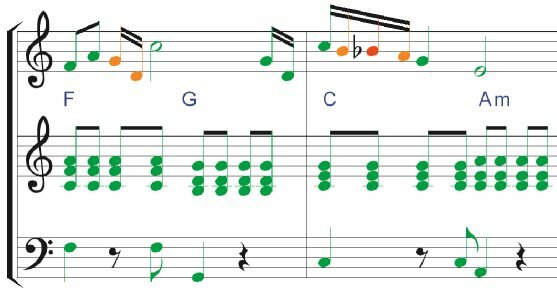 Increase your knowledge of music theory. 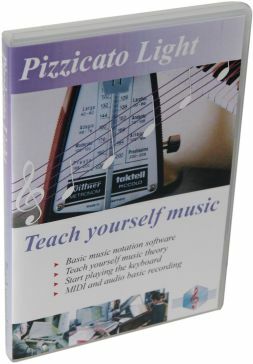 The music theory course will help you improve your performances and you will enjoy singing even more. 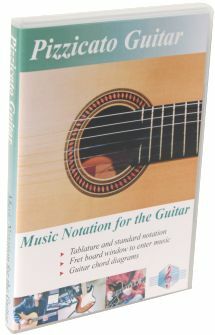 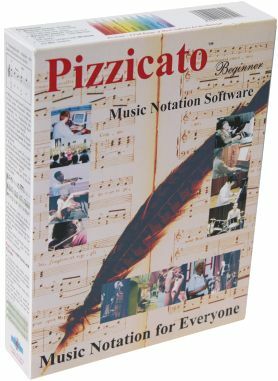 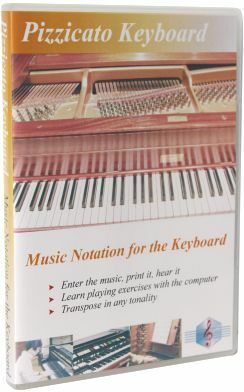 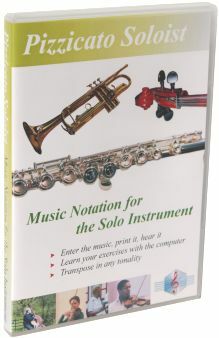 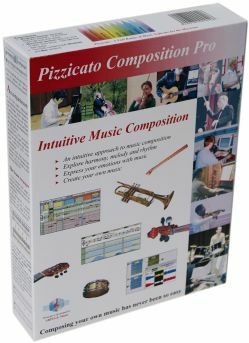 Pizzicato will also help you to learn your part and sing while the computer plays the other parts, at any tempo. 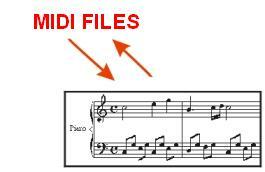 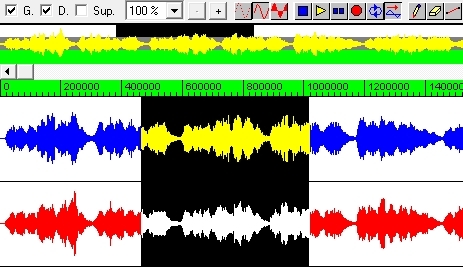 Create an audio file of the score, with one or more voices playing. 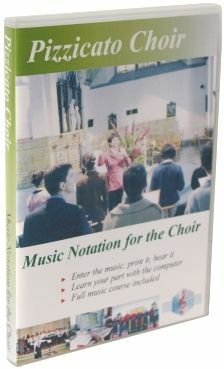 Create an audio CD and give it to the choir members to help them practice their parts. 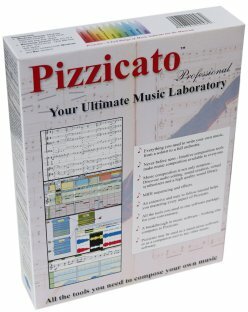 Pizzicato will help you to read a score. 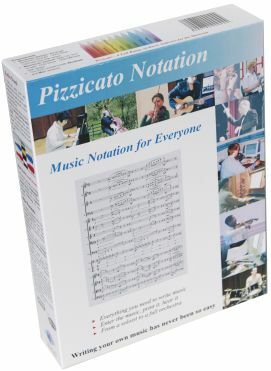 Sing while Pizzicato is playing the score as a reference for rhythm and pitch. 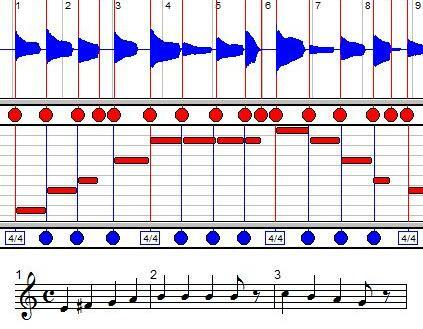 Change the tempo according to your progress. 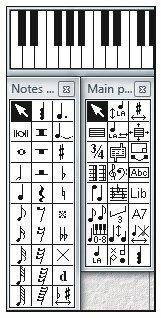 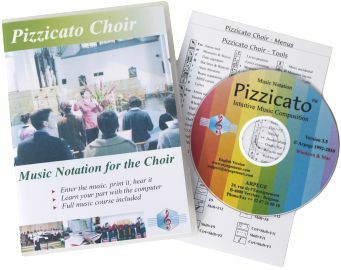 Just like you create a letter with a word processor, Pizzicato gives you the tools to write, print and hear your music for the choir. 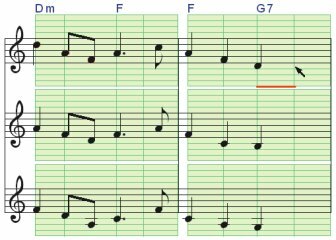 You can add accidentals, tuplets, chords as well as many other standard symbols and hear their influence on the playback of the notes. 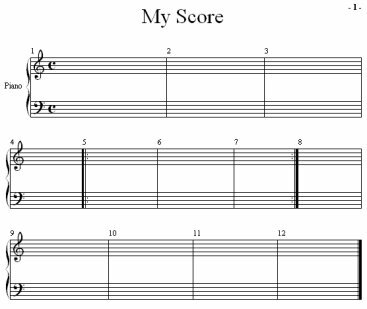 The score is display and you can make corrections as you want. 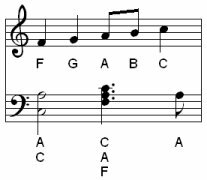 You can use all clefs (G, F, C), standard or transposed (8). 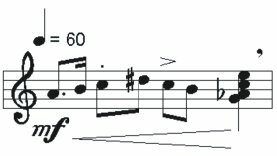 Change the clef anywhere in the score. 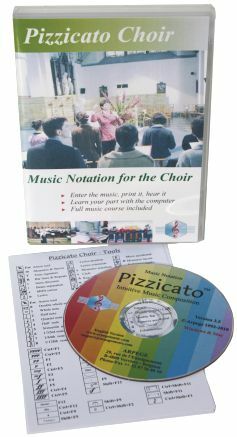 You can print in any paper format, including booklet printing. 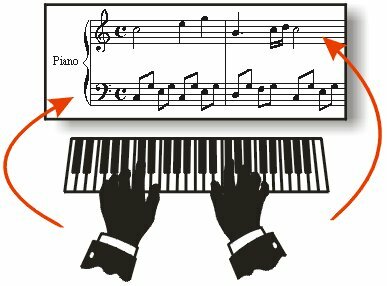 Select the sound you want for each staff of the score, using the voices, pianos, strings and synthesizers. 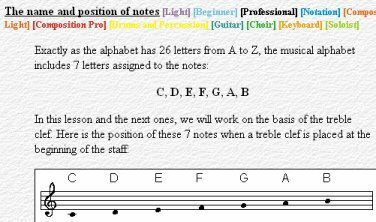 You can assign sounds to any staff of your score, using the voices, pianos, strings and synthesizers.